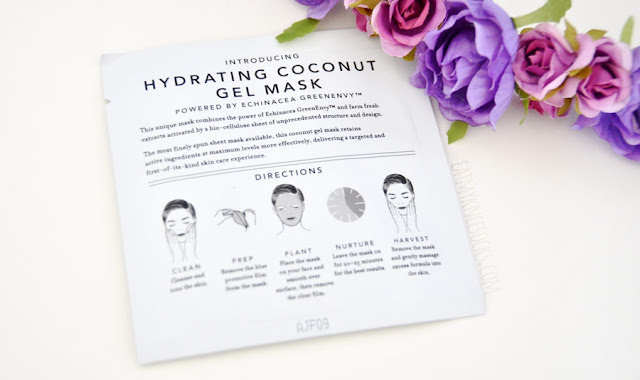 I recently got the chance to try out one of 6 newly-released hydrating coconut gel masks from Farmacy. The mask that I got was their brightening mask, containing the patented Echinacea GreenEnvy™ ingredient. Review ahead! 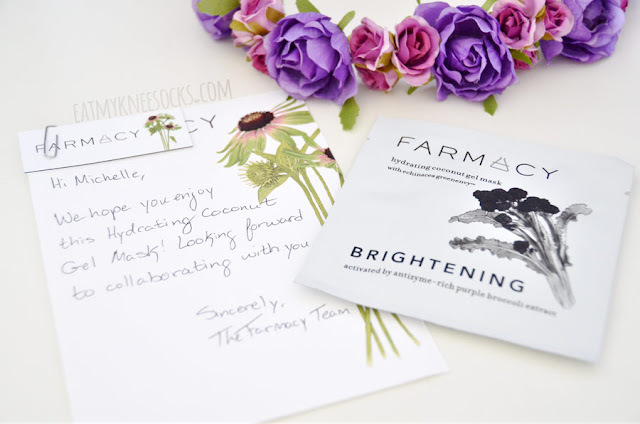 Farmacy is a brand new skincare brand, currently sold in Sephora and on QVC. Their beauty and skincare products feature their patented Echinacea GreenEnvy™ ingredient, along with their promise of delivering paraben-free, naturally-derived selections with no animal testing or artificial coloring. 1. Cleanse and tone skin. 2. Remove and unfold mask. Remove one side of the protective mesh. 3. Place mask on and smooth over face, then remove other side of mesh. 4. Leave mask on for 20-25 minutes. 5. Remove mask and massage excess formula into skin. Basically, there are two layers of protective film. After washing and toning your skin, remove one layer of film, place the mask on your face, and then remove the other layer. After 20-25 minutes, gently massage any excess essence into your skin, and you're done! The first thing I noted when I opened the bag was the scent. The mask has an unusual yet refreshing scent, although, in all honesty, it's too strong for me. The mask itself is pretty thin and clear, and there's a lot of essence in it. There was also a lot of essence left in the bag after I took the mask out. I had a bit of trouble putting the mask on. It's a very thin mask, so be careful when using it. I wore the mask for a little over 20 minutes, and I have to say that it absorbed really quickly! 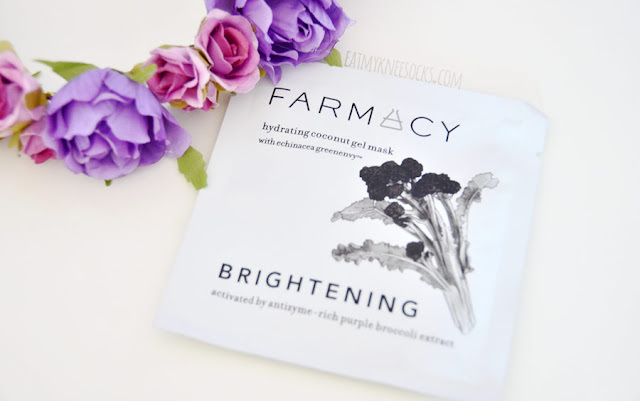 With a lot of facial masks that I've tried, there's always quite a bit of unabsorbed essence left in them even after I've worn them for the suggested 20-25 minutes, but with the Farmacy coconut gel mask, my skin absorbed pretty much everything! My skin was noticeably brighter after I removed the mask, but, of course, as with most brightening or whitening facial masks, it takes consistent use to get permanent, long-lasting results. I'm actually more impressed by the hydrating power of this mask than the brightening effect. I have combination skin, with some parts that are normal/oily at times and other parts that tend to be dry. 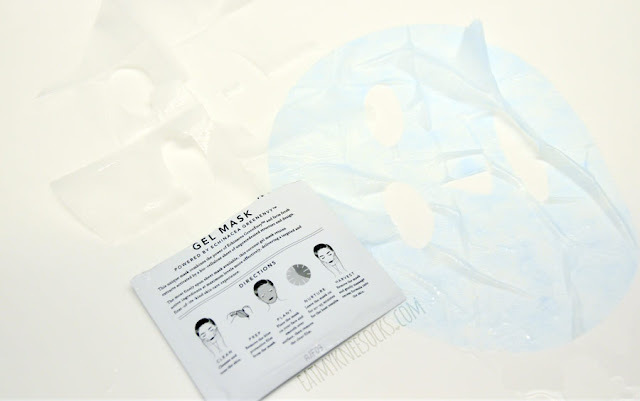 After using this mask for 20 minutes, my skin felt noticeably softer and more moisturized. Even when I woke up the next morning, my face still felt soft and smooth. This mask definitely deserves an A+ for hydration! 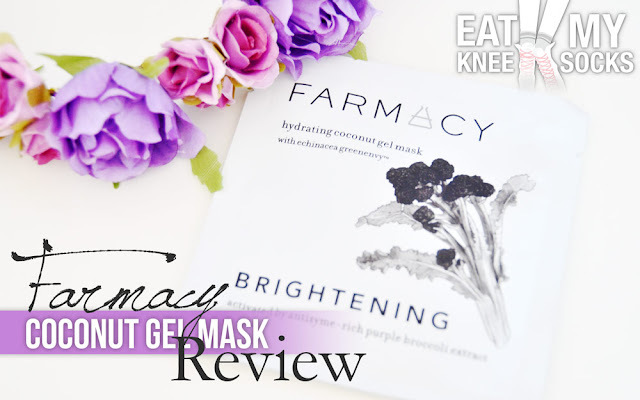 Overall, I really enjoyed testing out the Farmacy hydrating coconut gel brightening facial mask. Farmacy masks are a bit pricey, sold for $24 for a pack of three masks, but they definitely deliver results. AMIClubwear Review: HUGE Shoe Haul!